Try to imagine the Village with no tree lined streets? No spring greenery, no autumn color, no shade, no protection from the weather, imagine how your heating and cooling bills could rise, imagine how much pollution our trees clean from the air we breath? Our trees were a gift from past generations of Bear Lake residents – let’s be sure to preserve and keep them healthy! 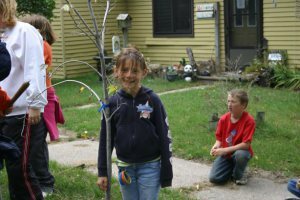 The Village of Bear Lake has an ongoing urban forestry program. The vast majority of the splendid maple trees which line our streets were planted when the Village was laid out in the late 1880’s – 1900. Like any forest, the key to keeping it healthy is good management. The Village of Bear Lake regularly trims healthy trees and removes dead and dangerous trees as funds permit. We make every effort to replace trees which are removed. If you would like to donate the cost of a tree or volunteer to water and care for a new tree until it becomes established please contact the Village Clerk. 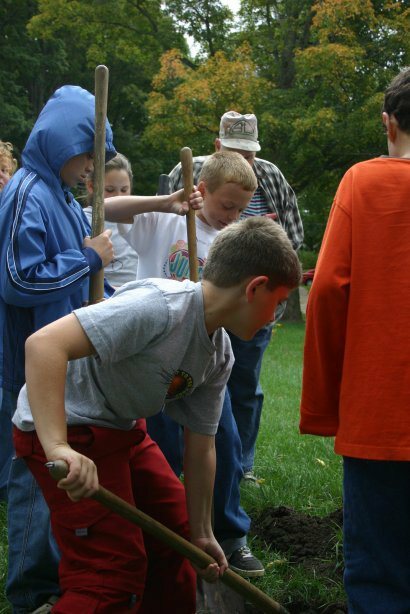 On October10th the 4th, 5th and 6th graders from Bear Lake School enjoyed a beautiful afternoon to plant 13 new trees around the village of Bear Lake. Teachers Mr. Harthun, Mrs. Bowman and Mrs. Peters helped the students plant the trees. Our maple tree lined streets are one of the many things that make Bear Lake a special place to live. When you see one of these wonderful junior citizens say a BIG “THANK YOU!”.